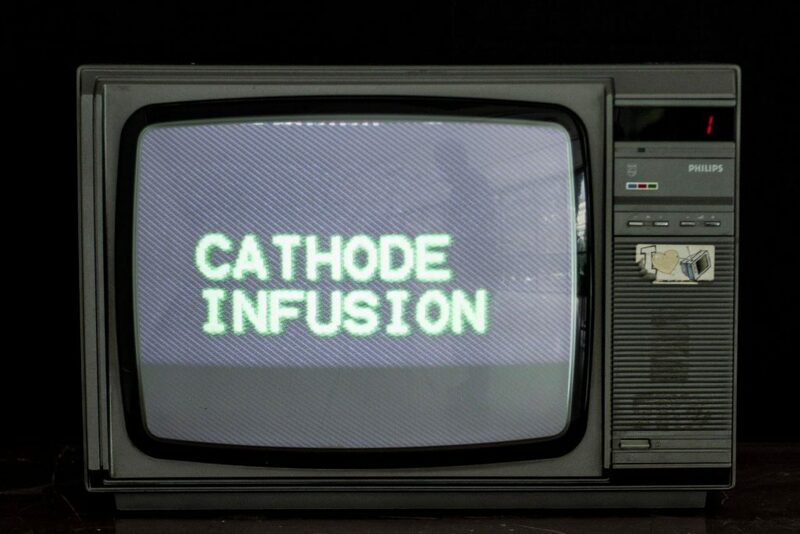 Cathode Infusion is an installation that consists of a freestanding, old school television that randomly shuffles footage of the 1994 Olympics, MTV clips, game shows and other world media coverage from 1992-96 in between which occasional news-feeds from the occupied Sarajevo appear. Each clip is broadcast briefly and then suddenly interrupted or stopped often at a particular significant moment. During the siege of Sarajevo, the city’s districts were supplied with electricity for only brief periods of time during the so-called ‘reductions’. Alongside the household jobs that needed to get done in those short spans of time, TVs were turned on and car batteries were charged. Images of the outside world would penetrate homes reinforcing the indifference of the world towards the besieged city while also providing Sarajevans with glimpses of normality that were instrumental in preserving fragile notions of sanity. These infusions of ‘normality’ and reminders of another life, prior to the siege, were key in maintaining a sense of humanity. The siege transformed the life of Sarajevans into a complex play of survival which became the reality and a way of living. At a certain point it was only through having a reference to the outside world that one was aware of what the reality of the siege was: an isolated case of systematic destruction.